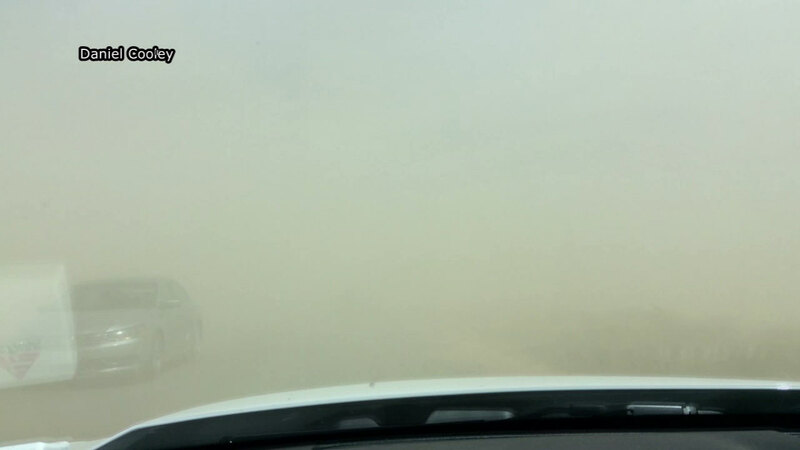 A dust storm in Lucerne Valley has triggered a 15-vehicle pileup on Highway 247. LUCERNE VALLEY, CA -- More than two dozen people were injured in a multi-vehicle pileup on Highway 247 in Lucerne Valley triggered by a blinding dust storm, the California Highway Patrol said. The 247 near Rabbit Springs Road was shut down while officials investigated Wednesday afternoon. Approximately 15 vehicles were believed to be involved in the pileup, which was first reported at about 3:20 p.m. Initially a white Chevrolet van was hit by a semi truck, setting off a chain reaction as other drivers ran into the crash under low-visibility conditions, the CHP said. Fire officials said 28 people were injured, with three of the injured being taken to the hospital.